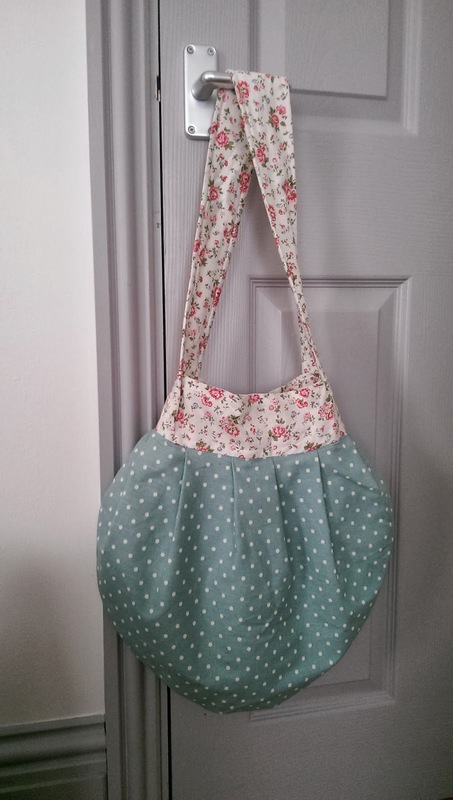 The bag I made using the 'sling tote' tutorial by Crazy Little Projects. 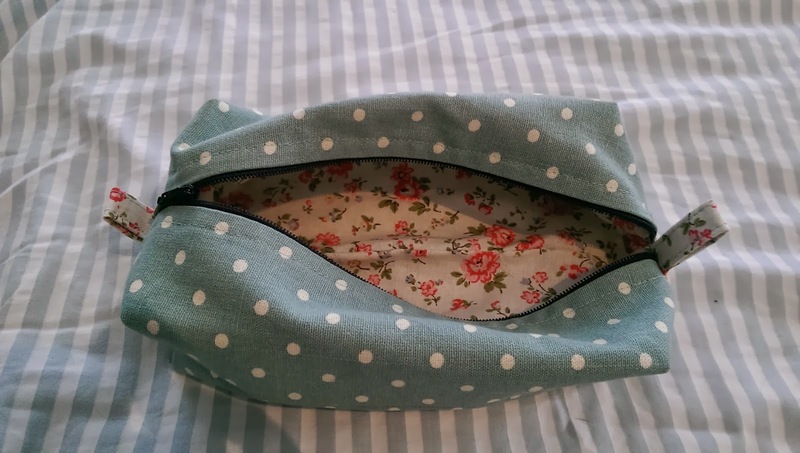 There are loads of things that are perfect for newbies like me to make on there, including a great little series of 'learn to sew' tutorials. It's a really great resource of a blog to use to get started. My bag was made from fabric I'd bought at John Lewis (I'd never bought fabric before, and spent ages trying to figure out what I wanted while feeling a bit intimidated by all the ladies discussing dress linings, and then bought way too much of it). I used felt in the strap to give it some added strength as the tutorial suggested. I also sewed on a little popper fastening on the inside so it wouldn't be gaping open and inviting unwanted hands on the tube. It's definitely not perfect but I really really love it and it turned out way better than I'd expected. 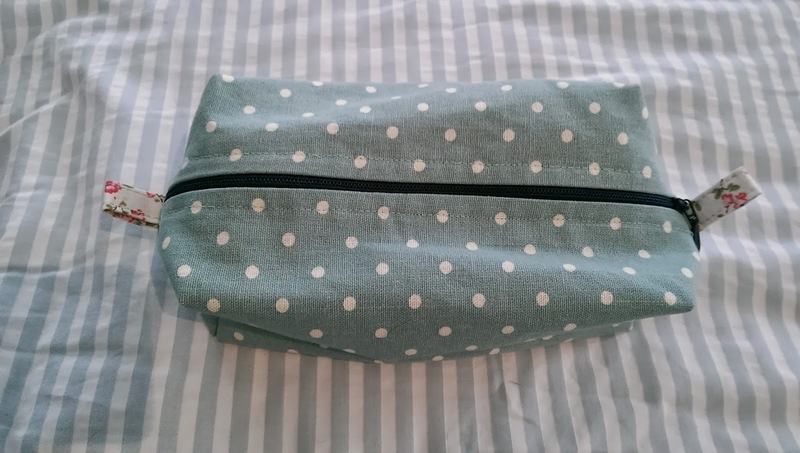 And then, because I had so much fabric left over, I thought I'd try this boxy pouch tutorial that I'd liked the look of. This was pretty fiddly, and involved my first work with a zip which frankly was a bit of a mess. The lining is a little baggy at one point on the inside, and one of my zip tabs didn't line up, but it's functional and doesn't look like a total disaster and was great for learning techniques. I'm definitely planning on making more. 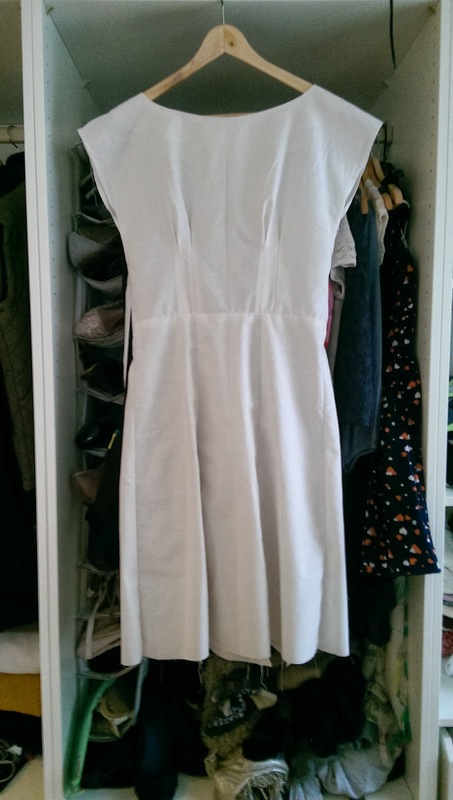 Since this sewing thing is a bit addictive, and even I can turn out something reasonable looking at my first attempt, I decided that I could make a dress. Because hey, they must be easy too? Right?! Well, actually, kinda right. I spent ages trawling sewing blogs (not such a bad thing) and stumbled upon a little indie sewing label called By Hand London. I love what they're doing, and they have some amazing sewalongs for their patterns on their blog. And their patterns are quite beginner friendly anyway. So I bought their Anna Dress pattern. And a double bed sheet from Primark. And set about making a toile/muslin/first ever attempt at dealing with a pattern. I traced, pinned, cut, sewed and then put on my first bodice. And then I made adjustments. Me! Adjusting a pattern to fit me using their invaluable guides in the sewalong, and somewhat winging it when adjusting the neckline and adding some width at the side seams meant I had a bodice pattern tailored entirely to me. 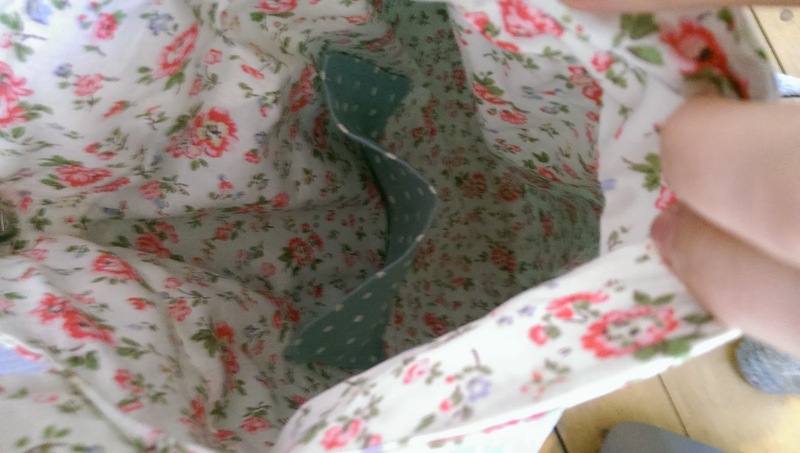 So I sewed up and attached the skirt (and my seams nearly all matched up - surprise bonus! ), and here it is, my first 'dress'.